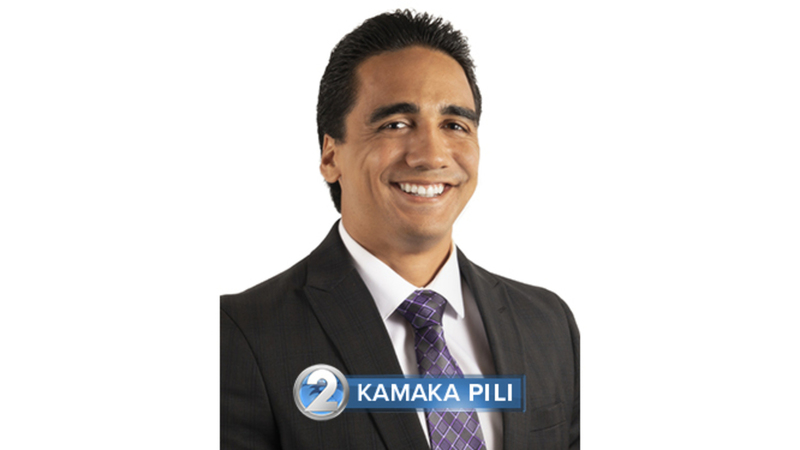 Kamaka Pili may be a new addition to our weather team, but he’s already a familiar face at KHON2 as host of the Aloha Authentic segment on Wake Up 2day. Each week, Kamaka spotlights a specific location or street on Oahu, and shares the history, culture, and significance behind its name. The Kamehameha Schools and University of Hawaii at Hilo graduate is excited to expand his kuleana to weather, adding his own special touch to the science of forecasting. “My passion is built around both learning and sharing Hawaii’s history and unique culture, helping to spread the message of aloha and Hawaiian culture with the world and now, through every weather report,” he says. "I felt this was the next step in becoming an active community member, to be able to provide important information that everyone wants and needs to know." For years, the Kailua native has produced and hosted his own talk show on community television. “Aloha Authentic with Kamaka Pili” talks story with local artisans, cultural practitioners, and prominent community members.